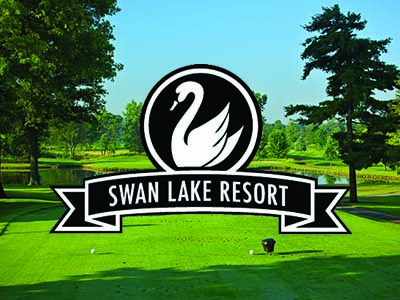 Swan Lake Resort’s courses are exquisitely maintained and designed for the enjoyment of all players. The 500 acres of Northern Indiana countryside feature beautiful water features, GPS carts and the area’s best practice facility. Restrictions: Not valid Friday – Sunday before 1 PM, for leagues, outings or tournaments. Tee-time required. Non-member cart rental $20. Designed with water features on many of the holes and features five sets of tees that range from 7,272 to 5,107, so everyone can choose a yardage that best suits their ability. Come and enjoy this beautiful yet challenging course! Restrictions: Not valid Saturdays, Sundays & Holidays before 12 noon. No rainchecks or refunds unless course is closed by staff. Not valid for outings, leagues or special events. Outstanding 18-hole championship golf course meandering through 300+ acres creates a serene & isolated experience with wonderful wildlife and views. Facilities include a 5-star bent-grass practice range, GPS Golf Carts and the Alan Brennan Golf Academy. Restrictions: Not valid Monday – Sunday before 12 PM or with any other discounts. 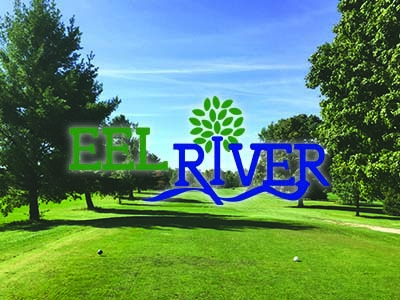 Come and play our championship course built on rolling terrain with significant mounding, plentiful wetlands, and water hazards that create a beautiful and challenging golf opportunity for players of all abilities. Stop by our Pro Shop! Enjoy a wonderfully conditioned course! From a relaxing afternoon with friends to playing in a competitive outing, there is no better place to enjoy well manicured greens, majestic trees and the quietness of the country. Restrictions: Not valid Saturdays, Sundays and Holidays before 10:30 AM. Not valid for leagues, outings or tournaments. every level golfer from beginner to the most seasoned player! Restrictions: Not valid Saturdays, Sundays or holidays before 12 PM. Not valid for use with leagues or outings. course, with tees designed for all level of players. Areas funnest course, new design and gamification for 2019. Restrictions: Not valid weekdays before 10 AM, Saturdays or Sundays before Noon or holidays. scenic views, strategically placed water hazards and hilly terrain. Restrictions: Not valid Holidays, Tournaments or Leagues. Can not be combined with any other offer.Valid after 12pm on Saturdays and Sundays. Enjoy a peaceful round of golf in a natural environment. The front nine is more traditional, while the back nine offers a winding creek and several ponds amongst the woods. Truly some of the most scenic holes in northeast Indiana! Restrictions: Not valid on major holidays or outings. 18-hole championship golf course with bent grass greens, tees and fairways. Water in play on 12 holes. Well stocked pro shop with competitive pricing. A snack lounge and banquet facility. before 1 PM. Cart rental fee: $20. South Shore Golf Club is a premier public 18 hole, par 72 course located at Lake Wawasee. We provide a friendly, relaxed atmosphere and beautiful course conditions. Join us on our scenic and challenging course. Restrictions: Not valid on weekends, member events, holidays, leagues, outings or tournaments. Burke Golf Course consists of 9 holes in the picturesque setting of Notre Dame. At 3,222 yards, this par 35 regulation golf course provides golfers with a fair challenge, in a relaxed atmosphere. Restrictions: Not valid Fridays, Saturdays & Sundays of home football games. A traditional golf course offering a uniquely fun challenge each time you come out to enjoy a round of golf. The course winds its way through tall trees, rolling hills and a chain of lakes. Then kick back at Bill’s Grill House – one of the best restaurants around. Old Orchard is an executive course featuring 18 holes – a par 61 and a total of 3,437 yards. Family friendly for golfers of all age ranges! After your round, come visit our newly renovated clubhouse and enjoy the Pro Shop and Bar & Grill! Restrictions: Not valid Monday -Thursday 4-6 PM. Indiana Tech recently purchased the historic Donald Ross Golf Club. Its namesake Donald Ross built the 9-hole course in 1927. The Scotland born Ross built over 400 courses in the United States and laid the foundation for America’s golf industry. Restrictions: Call for Tee time. Fantastic executive par 59 golf course open to the public! Easily play 18 holes comprised of 5 par four’s and 13 par 3’s in 3 hours or less while enjoying a friendly and welcoming atmosphere! Membership options are available and with affordable rates – one of the best options in Fort Wayne! Restrictions: Not valid Monday – Friday after 4 PM from May 1 – August 31. This beautiful setting will give you a great afternoon of golf that can be easily played in about 2.5 hours. The well maintained greens will give you a challenge are just fun to play, but beware there are several holes that will test your ability to keep the ball in bounds. Enjoy this one. Restrictions: Not valid Any day before 1:30, holidays & leagues. Welcome to Norwood Golf Course! Open to the public since 1969, this 18-hole course was designed by Hal Purdy featuring a par 72 layout, tree-lined fairways over rolling terrain, 6,597 yards, bunkers and an occasional water hazard. A well maintained course with several risk reward holes waits, challenging each golfer’s skill level and ability. The front 9 builds confidence with subtle challenges. 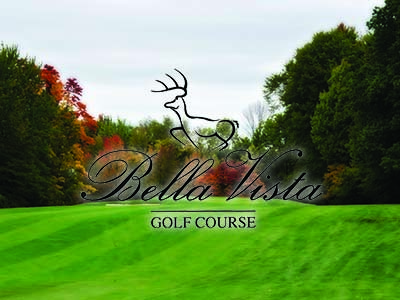 The picturesque back 9 with its rolling terrain will test all golfing skills. A pleasurable experience for the occasional golfer as well as those who enjoy a challenge. Tree-lined fairways, water features, and a winding creek give Eagle Rock golfers a unique day on the links. You may even glimpse an eagle flying overhead. Restrictions: Not valid before 3pm on Saturdays & Sundays. 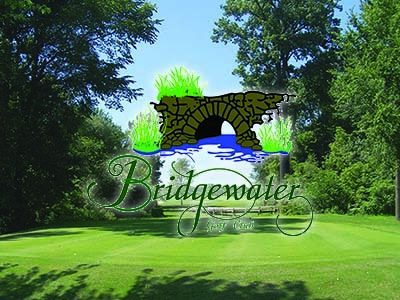 Located along the Auglaize River, the shapes and contours of the greens add the biggest challenge on this course. Auglaize Golf Club takes pride in the well-maintained facility and welcomes golfers of any level to come and enjoy this beautiful course. Restrictions: Not valid Saturdays & Sundays before 2 PM. We invite you to enjoy the Whispering Creek experience. 6,787 yards of beautiful and challenging golf. You will see that Whispering Creek Golf Club is a place of special meaning, accomplishment and enjoyment. Restrictions: Not valid Saturdays, Sundays & holidays before 12 noon. Description: Green Valley Golf Course was designed by Norman Knight and opened in 1974. A challenge from the back tees, this well-maintained, beautiful course is just plain fun to play. With the Passport you will play the course two times for your round of 18 holes. Restrictions: Not valid for Tournament, League Play or Tuesdays. wooded hills. Take advantage of our chipping/putting greens and driving range before your round. Visit our fully stocked pro shop and snack/beverage bar. Restrictions: Not valid Saturdays, Sundays & holidays before 1 PM or during leagues & outings. Cart Rental & Small Bucket of Balls for $25. Heron Creek Golf Club features a challenging yet enjoyable layout set amid natural wooded terrain, rolling fairways, undulating greens and some of the best-kept grounds. We pride ourselves in multiple tee sets. Restrictions: Valid weekdays anytime. Not valid Saturdays Before 1 PM or Sundays before 9 AM. Cart Rental for $20. Friendly and Fun. Formally the Hillcrest Country Club, the course is dedicated in the memory of fallen soldiers. This well kept secret of mature trees and water on 7 holes will give even the low handicappers a challenge and may just become your next favorite course. This beautiful course features mature trees, well-defined bunkers, fantastic greens and is always kept in marvelous condition. Visit our Pro Shop where our staff is always friendly and our affordable merchandise is well-stocked. Restrictions: Not valid Fridays, Saturdays, Sundays & Holidays before 12 PM or during leagues and outings. We offer a fun, yet challenging golf course for the entire family. The 5,150 yard course features 5 ponds and fairways lined with giant fir trees that keep even the low handicappers honest. Restrictions: Not valid Thursdays after 3 PM or before 10 AM on weekends. A uniquely designed 18-hole course that is sure to challenge players of all levels. Elevated greens and trees tucked behind various creeks and ponds make it a beautiful setting. The welcoming family atmosphere makes this a very enjoyable golfing experience. Tune up your game at our 20 acre driving range! Buy 3 Golf Passports Get 1 FREE! Don't wait – supply is limited! Restrictions: Not valid Monday - Sunday before 12 PM or with any other discounts. Restrictions: Not valid Friday - Sunday before 1 PM, for leagues, outings or tournaments. Tee-time required. Non-member cart rental $20.